THIS IS THE SECOND PAGE of documents for the FIRST HALF of 1932 on Nicaragua's Caribbean Coast region, housing materials dated in the 55 days from February 5 to March 30. A turn in the war’s momentum in the interior districts seems an apt interpretation of the first sets of reports on the firefights between Guardia & rebels around Neptune Mine (Feb 1-3) and of Lt. Levonsky’s on his aggressive pursuit of the rebel raiders of Brown’s Camp in mid-January (Feb 8) — and, later in the month, of Lt. Surprenant’s on his hunt for rebels around Kisalaya (Feb 29) & Lt. Curcey’s on his search-and-destroy mission a month later in the deep interior of the Bocay & Waspuk valleys (March 20). Jefe Director Gen. Matthews’ letter to the US Legation & Ministro de Gobernación in Managua affirms this trend, asserting that "everything possible has been done to control the military situation" in the Eastern Area, and that on the whole "it appears that the Guardia is giving more effective protection [to foreign properties] than in the past" (Feb 8 & 12). The reported killing of three rebel spies at Wuani & capture of four others in late January speaks to the Guardia’s growing intelligence capacities in these hitherto vulnerable districts (Feb 26). Further south, the Department of Southern Bluefields remains quiet, with no rebel activity reported along the ríos Prinzapolka, Grande, Siquia, or anywhere else (Feb 29). Indeed, the month of March passes with no military engagements anywhere in the Eastern Area and a 15-day gap between relevant Guardia reports (March 5-20). Meanwhile, Sandino, in a previously unpublished letter, reports “nothing new” for the column of Gens. Francisco Estrada & Carlos Salgado “en la gira que efectuaron al interior” & describes them as “muy contentos y llenos de un vivo entusiasmo por los triunfos que alcanzaron en various sangrientes combates que sostuvierón con el enemigo” – though what "triumphs" in what "bloody combats" he has in mind remains unclear. Also noteworthy is Moravian missionary A. O. Danneberger’s letter condemning the sexual & financial improprieties of Brother Schramm; lamenting that news of Schramm's bad behavior has spread among the natives on the Upper Coco; and recommending that he no longer be permitted to work in Nicaragua (Feb 12). Meanwhile, across the Coast, as in previous months, “the economic situation is very bad” and shows no signs of improving anytime soon (Feb 29). Patrol Report, Capt. Ralph D. McAfee, Neptune Mines, to Col. L. L. Leech, Bluefields, p. 1. "DEPARTMENT OF SOUTHERN BLUEFIELDS ¶ GUARDIA NACIONAL DE NICARAGUA ¶ BLUEFIELDS,NICARAGUA 5 FEBRUARY 1932. ¶ From: Ralph D. McAfee, Captain, Guardia national. ¶ To: Area Commander, Eastern Area. ¶ Subject: Patrol Report. 1. On return of Lieutenant Gray’s patrol, I cleared Neptune Mines about 0200, 3 February with the following patrol: ¶ 1. Ralph. McAfee, Captain, G.N. ; 2. Adrián Somarriba, 2nd Lt, G.N. ; 3. Juan B. Rodríguez, 2nd Lt. G.N. ; 4. Carlos Martínez, Cabo #1849, G.N. ; 5. Cuaresma Hernandez, Raso #4772, G.N. ; 6. Alemán Francisco, Raso #4807, G.N. ; 7. Garzón Jesus, Raso #4809, G.N. ; 8. Fernandez Narciso, Raso #4745, G.N. ; 9. Ingram Regnabarrios, Raso 32428, G.N. ; 10. Sanchez, Felix O. Raso #4791, G.N. ; 11. Villalobos, Ricardo Raso #4808, G.N. 9 Civilians. ¶ 2. Patrol followed route used by Lt. Gray’s patrol, and camped in the first of the bandits camps at 1800. 4 February cleared at 0600 and searched camps for any information or articles not destroyed by Lieutenant Gray’s patrol. Found a large bandit camp on left Bank of Billigni River where previous patrol had been ambushed. This yielded some articles of food and clothing left by bandits but not much. This camp and the one in which we had slept would hold about 100 men ¶ 3. The patrol proceeded on down the river to main bandit camp. There had been no signs of bandits returning to carry off any articles left. Here was found a fourth camp with one dead bandit. This fourth camp would hold about 30. The entire camp seemed to be made for about 200 men which checks closely with the number reported by reliable authorities in Tunky. ¶ 4. In addition to the amount of bandit property destroyed by Lt. Gray the following was destroyed by my patrol. 45 Rubber sacks; 60 pairs Trousers; 20 Shirts; 10 pair shoes; 6 cases of Soap; 20 dozens Candles. [...]"
Patrol Report, Capt. Ralph D. McAfee, Neptune Mines, to Col. L. L. Leech, Bluefields, p. 2. "[...] Many articles of women’s apparel. A supply of medicines such as Salts, liniment, various pills and patent medicine. A small quantity of food stuff sufficient to feed the patrol there and on our return trip; a number of toilet articles, perfume and powder, and large quantity of jewelry, cooking utensils, Lanterns, Carpenters’ tools, 50 lbs. Nails and other items so numerous, that it is difficult to enumerate them, being the stock as usually carried by a general merchandise store. ¶ 5. The Military articles captured: ¶ 1 Rifle Krag; 1 Rifle Con Con; 2 Pistols 38, S&W; 1 pistol 32, S&W; 3 dynamite Bombs; 9 Detonators with fuses; 13 rds. Krag, New Combat; 1 rd. Krag, R.A. 1917; 1 rd. 38 special Winchester; 16 rds. Luger; 5 12-gauge shotgun shells paper, Peters Target – 4 and 3 shots; 3 12-gauge Brass Shells – Remington UMC. Reloaded; 20 Cutachas and machetes; 4 large daggers; 1 Flag, about 3 Feet, Red and Black with Crossbones and Skull. Numerous Red and Black hatbands and hankerchiefs. ; 10 or 12 Flashlight; a large number of letters. ¶ 6. The amount of the property destroyed corresponds very closely to the amount stolen by the Bandits in Tunky, which was: $3,000 from one Chinese Store; $1,500 from another; $1,500 from Springer; $1,000 from Pedro Jarquín and Benjamin Smith; $1,700 from individuals; $750 in cash and Gold Dust. Total: $9,450.00 . ¶ The cash and gold dust was not recovered, and none was turned in by the searching parties. It is possible some was secured by civilians assisting my patrol and secreted which could have been easily done, without our knowledge. Other small and valuable articles could have disappeared in the same way. [...]"
Patrol Report, Capt. Ralph D. McAfee, Neptune Mines, to Col. L. L. Leech, Bluefields, p. 3. "[...] 7. It is my belief that the only articles the bandit carried away were those they wore. They did not return to the Camp. ¶ 8. The patrol could not pick up the tracks from either combat due to the bandits fleeing in all directions. So we returned to Big Falls where we remained over night. Cleared at 0700 5 Feb and arrived Neptune Mines at 1000. ¶ (signed) RALPH D. MCAFEE ¶ First endorsement ¶ HEADQUARETERS EASTERN AREA GUARDIA NACIONAL DE NICARAGUA ¶ Bluefields, Nicaragua 18 February 1932 ¶ From: Area Commander, Eastern Area. ¶ To: The Jefe Director, Headquarters, Guardia Nacional de Nicaragua, Managua, Nicaragua. 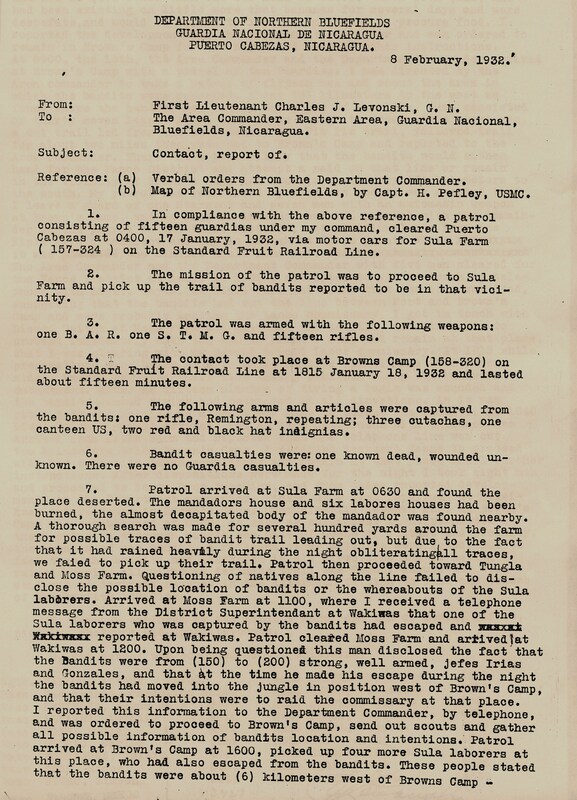 ¶ Subject: Patrol Report, (Captain Ralph D. McAfee, G.N., Neptune Mine to Biltigne River, Feb. 3 -5, 1932) ¶ 1. Forwarded. ¶ 2. This patrol was most valuable in ascertaining the amount of stolen loot recovered from the bandits and destroyed. Due to lack of pack animals, the difficult terrain and the chance that the bandits might make an attempt in force to regain the loot, it was considered advisable to destroy it, rather than risk its recapture. Under the circumstances I consider the action of Lieut. Gray and Captain McAfee in destroying the loot, logical and sensible. ¶ 3. The tremendous amount of the loot recaptured and destroyed is a great blow to the bandits, and must of necessity greatly hamper any offensive action on their part. For that reason the action of Lieut. Gray, and his patrol, is the more noteworthy and deserving of praise. ¶ (signed) L. L. LEECH [...]"
Report of Contacts of Capts. R. McAfee and O. A. Inman, from Col. L. L. Leech, Bluefields, to Jefe Director GN Managua. "1. The following is a copy of a radio received February 5, covering three contacts near Neptune Mine. ¶ Neptune Mine Feb 3, 1932 ¶ COMMANDER GUARDIA BLUEFIELDS ¶ CIVICOS MADE CONTACT ONE FEBRUARY FOUR BANDITS KILLED TWO SHOTGUNS CAPTURED ONE CIVICO WOUNDED PERIOD LT GRAY MADE TWO CONTACTS ABOUT 1300 AND 1600 TWO FEBRUARY FIVE COUNTED KILLED NUMBER WOUNDED NO GUARDIA CASUALTIES PERIOD CAPTURED FOUR ARMS AND AMMUNITION PERIOD DESTROYED GREAT QUANTITY LOOT PERIOD RETURNED THREE FEBRUARY DUE TO LACK OF AMMUNITION PERIOD AM CLEARING WITH FRESH PATROL 12003 ¶ MCAFFEE ¶ 2. This bandit group is evidently one under Gonzales, Rivera and Castro, who raided and burned Tunky on January 30, 1932, and retreated to the Northeast. The above report indicates that they were traveling slow, carrying their loot, and were intercepted by the Neptune patrols. The heavy casualty list and the capture of the stolen loot, should seriously cripple the activities of this group for a time, and ease the situation in the Department of Northern Bluefields. ¶ 3 The following radio from Kisalaya indicates probable local activity in that area. ¶ PTOCABEZAS FEB 4 1932 ¶ NGOVT GUARDIA COMMANDER ¶ BLUEFIELDS ¶ SEVERAL SHOTS FIRED INTO KISALAYA MIDNIGHT LAST NIGHT BELIEVED SMALL GROUP MARAUDERS UNDER RAFAEL BLANCA OPERATING AROUND LAIMUS HENDERSON NOW IN THAT AREA INVESTIGATING 14304 ¶ INMAN." Report of Contact, 1st Lt. Charles J. Levonski, Puerto Cabezas, to Col. L. L. Leech, Bluefields, p. 1. "DEPARTMENT OF NORTHERN BLUEFIELDS ¶ GUARDIA NACIONAL DE NICARAGUA ¶ PUERTO CABEZAS, NICARAGUA. ¶ 8 February, 1932. ¶ From First Lieutenant Charles J. Levonski, G.N. ¶ To: The Area Commander, Eastern Area, Guardia Nacional, Bluefields, Nicaragua. ¶ Subject: Contact, report of. ¶ Reference: (a) Verbal orders from the Department Commander. 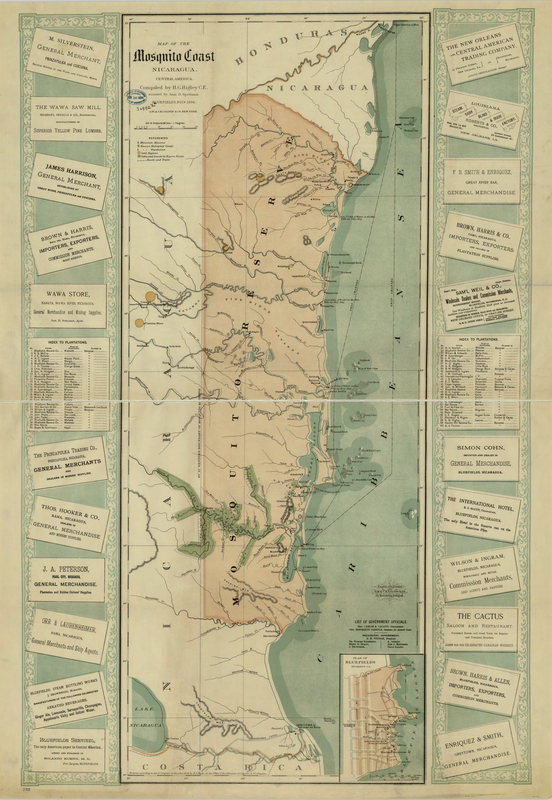 (b) Map of Northern Bluefields, by Capt. H. Pefley, USMC. ¶ 1. In compliance with the above reference, a patrol consisting of fifteen guardias under my command, cleared Puerto Cabezas at 0400, 17 January,1932, via motor cars for Sula Farm (157-324) on the Standard Fruit Railroad Line. ¶ 2. The mission of the patrol was to proceed to Sula Farm and pick up the trail of bandits reported to be in that vicinity. ¶ 3. The patrol was armed with the following weapons: one B. A. R. ,one S. T. M.G. ,and fifteen rifles. ¶ 4. The contact took place at Brown’s Camp (158-320) on the Standard Fruit Railroad Line at 1815 January 18, 1932 and lasted about fifteen minutes. ¶ 5. The following arms and articles were captured from the bandits: one rifle, Remington, repeating; three cutachas, one canteen US, two red and black hat insignias. ¶ 6. Bandit casualties were: one known dead, wounded unknown. There were no Guardia casualties. ¶ 7. Patrol arrived at Sula farm at 0630 and found the place deserted. The mandador’s house and six laborers houses had been burned, the almost decapitated body of the mandador was found nearby. A thorough search was made for several hundred yards around the farm for possible traces of bandit trail leading out, but due to the fact that it had rained heavily during the night obliterating all traces, we failed to pick up their trail. Patrol then proceeded toward Tungla and Moss Farm. Questioning of natives along the line failed to disclose the possible location of bandits or the whereabouts of the Sula laborers. Arrived at Moss Farm at 1100, where I received a telephone message from the District Superintendant at Wakiwas that one of the Sula laborers who was captured by the bandits had escaped and reported at Wakiwas. Patrol cleared Moss Farm and arrived at Wakiwas at 1200. Upon being questioned this man disclosed that the Bandits were from (150) to (200) strong, well armed, Jefes Irías and Gonzales, and that at the time he made his escape during the night the bandits had moved into the jungle in position west of Brown’s Camp, and that their intentions were to raid the commissary at that place. I reported this information to the Department Commander, by telephone, and was ordered to proceed to Brown’s Camp, send out scouts and gather all possible information of bandits location ad intentions. Patrol arrived at Brown’s Camp at 1600, picked up four more Sula laborers at this place, who had also escaped from the bandits. 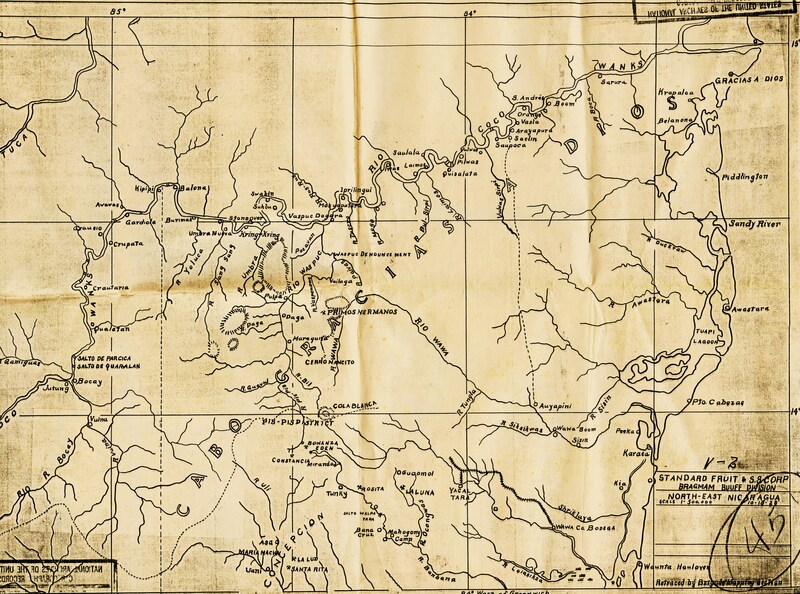 These people stated that the bandits were about (6) kilometers west of Brown’s Camp--[...]"
Report of Contact, 1st Lt. Charles J. Levonski, Puerto Cabezas, to Col. L. L. Leech, Bluefields, p. 2. "[...] and had no food other than the two head of cattle taken from Sula, and had been existing on little more that bananas for several days and were desperate, and would be forced to loot a commissary to procure food. I reported the developments to the department commander and was ordered to remain in Brown’s Camp for the night and await further instructions. At 0900, the 18th, the Area Commander and the Department Commander arrived at Brown’s Camp with a patrol of ten Guardias. I was directed by the Area Commander to take a patrol of fifteen men and scout the area in which the bandits were reported. About (3) kilometers to the west we found where the bandits had camped the night of the 16th, camp consisted of thirty seven lean-to huts, some large enough to accommodate eight men, a cut trail led from the camp toward the Pis Pis trail, followed trail for about two miles then returned to Brown’s Camp and reported to the Area Commander. There was a probability that the bandits would either head for the Vance District and attempt a raid on that line or remain in the vicinity of Brown’s Camp and Lacos, a commissary (7) kilometers to the south. My patrol was reinforced by five men and it was decided that I leave a guard of one Sergeant and seven men with an automatic weapon at Brown’s Camp, and as soon as darkness set in, proceed with the remainder of the patrol to the Vance District, get additional men from the Kipla Farm detachment and lay an ambush at three points where it was thought the bandits would come out. The Area Commander and the Department Commander with five men cleared for the Vance District at 1400. At 1800 I attempted to get in touch by telephone with Lieut. Reyes, at Kipla Farm but found that the line was dead, suspecting that the bandits had cut the line between Port and Brown’s Camp and were probably looting the Lacos commissary, I got in touch with Lieut. Gaitán at Moss Farm and gave him the details, directing him to proceed immediately with ten men to Browns Camp and remain at that place, that I was clearing with my patrol toward Lacos commissary. At 1815 while preparations were being made to move, bandits opened fire from three sides. Patrol returned their fire taking position along the railroad embankment. After fifteen minutes of firing a bugle was sounded and the bandits ceased firing and retreated in all directions. As it was pitch dark and raining no attempt was made to pursue the bandits. At 1840 Lieut Gaitán’s patrol arrived, and at 1900 Sgt. Saenz with thirteen men arrived from Kipla Farm and reported that the telephone line was cut two kilometers below Brown’s Camp. I directed Sergeant Saenz to proceed with his patrol to Lacos commissary and remain at that place until further instructions. After dispositions were made for the night I took eight men and proceeded to Santa Cruz junction, and from there reported developments to the Department commander, Picked up a line repairman at Siksikwas and returned to Brown’s Camp. Communication between Port and Brown’s Camp was established at 0500. As soon as sufficient light permitted in the morning, a thorough search was made of scene of contact and vicinity, the remains of one bandit, a rifle and other articles were found. Due to fact the bandits had scattered in all directions and it having rained heavily all night no definite trail was found. Scouts who were sent out at daybreak returned in the afternoon failing to find any traces of the bandits’ location. ¶ 8. Weapons employed by the bandits were: one BAR or Lewis , rifles, pistols, shotguns and dynamite-bombs. ¶ 9. The patrol was composed of the following: ¶ Sgto. TAYLOR, Arthur #2705; Raso MONDRAGON, Ricardo #308; ¶ Raso Bacquedano, Marcelino #2589; Raso LOPEZ, Marcelino #2562; ¶ Raso ESPINOZA, Jesús J. #3488; Raso NOGUERA, Carlos #4781; ¶ Raso ALVAREZ, Antonio #4812; Raso PEREZ, Fernando #4724; ¶ Raso MOSS, Dudley #4671; Raso PEREZ, José D. #2147; ¶ Raso OSORIO, Carlos #4629; RODRIGUEZ, Jesús #1835; ¶ Raso RODRIGUEZ, Isidro #4767; Raso ROSALES, Rafael #3324; ¶ Raso SEAS, Manuel #2487; Raso SHAW, Frank #3324; ¶ Raso NICHO, Simeón #2441; Raso TALENA, Jesús #4529 ¶ (signed) L. L. LEECH"
Letter from Gen. C. B. Matthews, Jefe Director GN Managua, to Chargé d'Affaires Willard L. Beaulac, US Legation Managua, p. 1. "8 February, 1932 ¶ Sir: With reference to the message recently brought to our attention regarding the situation in Eastern Nicaragua as it effects the Standard Fruit Company’s activities, I have the honor to inform you that with the limited strength of the Guardia now available for duty in that section of the country, everything possible has been done to control the military situation. ¶ Since October 27, 1931, when the Louisiana Commissary of the Standard Fruit Company was raided by a group of bandits and a loss of a few hundred dollars sustained, the company has suffered no further losses of a serious nature, and it appears that the Guardia is giving more effective protection than in the pat. This is evident from the following list of contacts between Guardia patrols and bandit groups from and including that date: ¶ CONTACTS ¶ NORTHERN BLUEFIELDS ¶ 1. Lieut. GAITAN, Francisco C. 27 October 1931 ¶ 9 privates – contacT at Cuyutigni ¶ GN casualties, 1 dead, bandits, 7 wounded. ¶ 2. Lieut. STEPHENSON & Lieut. SURPRENANT 12 guardias – contact at Saulala ¶ 27 October 1931 ¶ No GN casualties; bandit casualties unknown later reported 4 killed in AC telegram. ¶ 3. Lieut. RODRIGUEZ, Juan B. ¶ 10 guardias and 15 civicos –contact at El Salto ¶ No GN casualties; 4 bandits and 3 wounded, later reports stating 4 killed & 7 wounded. [...]"
Letter from Gen. C. B. Matthews, Jefe Director GN Managua, to Chargé d'Affaires Willard L. Beaulac, US Legation Managua, p. 2. "[...] 8 February, 1932 ¶ Sir: With reference to the message recently brought to our attention regarding the situation in Eastern Nicaragua as it effects the Standard Fruit Company’s activities, I have the honor to inform you that with the limited strength of the Guardia now available for duty in that section of the country, everything possible has been done to control the military situation. ¶ Since October 27, 1931, when the Louisiana Commissary of the Standard Fruit Company was raided by a group of bandits and a loss of a few hundred dollars sustained, the company has suffered no further losses of a serious nature, and it appears that the Guardia is giving more effective protection than in the pat. This is evident from the following list of contacts between Guardia patrols and bandit groups from and including that date: ¶ CONTACTS ¶ NORTHERN BLUEFIELDS ¶ 1. Lieut. GAITAN, Francisco C. 27 October 1931 ¶ 9 privates – contacT at Cuyutigni ¶ GN casualties, 1 dead, bandits, 7 wounded. ¶ 2. Lieut. STEPHENSON & Lieut. SURPRENANT 12 guardias – contact at Saulala ¶ 27 October 1931 ¶ No GN casualties; bandit casualties unknown later reported 4 killed in AC telegram. ¶ 3. Lieut. RODRIGUEZ, Juan B. ¶ 10 guardias and 15 civicos –contact at El Salto ¶ No GN casualties; 4 bandits and 3 wounded, later reports stating 4 killed & 7 wounded. [...]"
Letter from Gen. C. B. Matthews, Jefe Director GN Managua, to Chargé d'Affaires Willard L. Beaulac, US Legation Managua, p. 3. "[...] -3- ¶ OFFICERS LOCATION – Line – Rad- Med – ENLISTED - TOTAL ¶ Moss Farm – 1 – 0 - 0 – 18 – 19 total; ¶ Kipla Farm – 1 --0 -0 - 18 – 19 total; ¶ Toledo Wye – 0 -0- 0- -10 – 10 total; ¶ Cape Gracias - - 0- 0- -0- - 10 total; ¶ Kisalaya -2 -1 -0 – 24- 27 total ¶ Totals 12 – 3 - 1 – 190 - 206. ¶ A Radio net has been established with stations at Pis Pis Mines, Kisalaya, and Wuani, which gives a hookup through the Tropical Radio to Puerto Cabezas and Bluefields. The U.S Marine Corps has established a regularly scheduled airplane service from Managua to Bluefields and Puerto Cabezas, and keeps two planes based at Puerto Cabezas which are devoted exclusively to the Guardia service for observation and information of bandit activities In the interior of the Province of Bluefields, Cabo Gracias a Dios and Prinzapolca. ¶ Persistent and alarming rumors of bandit activity are constantly being received, but this is no more true at present than it has been during the past three years. These reports are generally unconfirmed and turn out to be unfounded, as the Guardia and the Marine Aviation unit unfailingly investigate and run down each rumor. ¶ The present unrest on the East Coast is largely caused by the wide spread unemployment existing throughout that section of the country, which condition of affairs has had a disastrous effect upon the living condition of the people, and left them dissatisfied and in a frame of mind where they can be easily agitated by the organizers and agents of either banditry or communism. The Standard Fruit Company, over a period of months, has gradually discharged a large number of employees. These discharged employees are naturally resentful toward the company and of course augment the ranks of the discontented, adding an element to the already large number of unemployed which nurtures a special feeling of animosity toward the company. [...]"
Letter from Gen. C. B. Matthews, Jefe Director GN Managua, to Chargé d'Affaires Willard L. Beaulac, US Legation Managua, p. 4. "[...] -4- The Guardia appreciates very much the measures which the Standard Fruit Company has already taken in the way of providing financial support for the maintenance of a detachment of fifty guardia on their property for its protection. This unit has been paid, subsisted, and clothed by funds provided by the Standard Fruit Company and has been armed and officered by the Guardia. It has been utilized to the greatest extent possible to cover the property of the company; and the regular Guardia forces assigned to duty in Northern Bluefields have been augmented within the past few months to the limit of our ability to stretch the present strength of the Guardia. ¶ If the Standard Fruit Company sees fit to appropriate an additional sum of $1,300.00 per month in order to further augment the forces dedicated to the protection of its property, the Guardia Nacional will provide an additional force of 50 Guardia Nacional with an appropriate number of offices and the proper arms and equipment, and place them on duty for the protection of the company’s interests. This amount is $200.00 in excess of the sum now being furnished by the company for the maintenance of a detachment of equal strength, but provision must be made to furnish officers for such a detachment, because the present strength of the officer personnel in the Guardia precludes the assignment of any additional officers to that duty. ¶ I am, my dear Mr. Beaulac ¶ Very truly yours C B. MATTHEWS ¶ Maj.Gen., Guardia Nacional ¶ Jefe Director ¶ Mr. Willard L. Beaulac ¶ Chargé d’Affaires ad interim ¶ Legation of the United States of America ¶ Managua, Nicaragua"
Radiogram from Nicaraguan Natl Guard Detachment, Puerto Cabezas?, to Jefe Director GN Managua. 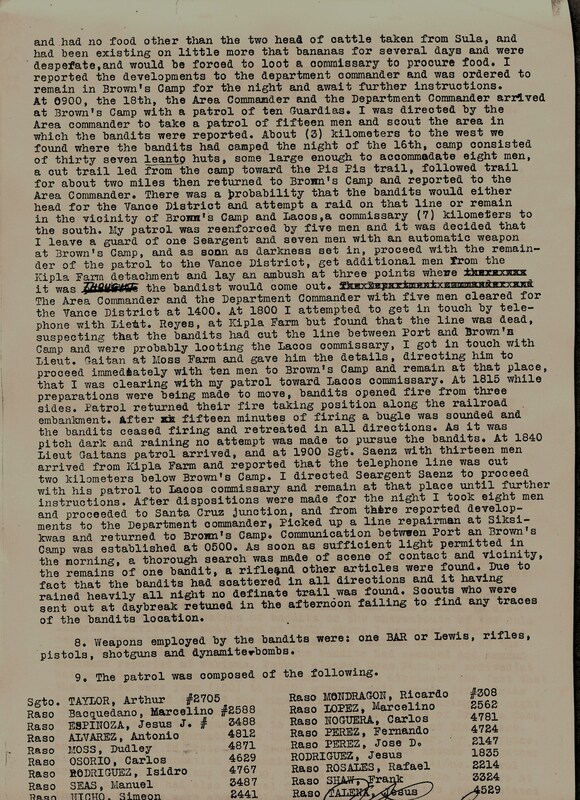 "8608 GUARDIA PATROL FROM LIEUT MCAFEES COMMAND AT NEPTUNE MINES MADE CONTACT ONE FEBRUARY FOUR BANDITS KILLED TWO SHOT GUNS CAPTURED ONE GUARDIA CIVICO WOUNDED ON TWO FEBRUARY LIEUT EARL T GRAY MADE TWO CONTACTS FIVE DEAD COUNTED NUMBER WOUNDED NO GUARDIA CASUALTIES CAPTURED FOUR ARMS AND AMMUNITION RECAPTURED GREAT QUANTITY LOOT PATROL RETURNED THREE FEBRUARY TO REPLENISH AMMUNITION MCAFEE CLEARED WITH FRESH PATROL PERIOD ON NIGHT OF FEBRUARY THREE SEVERAL SHOTS FIRED INTO KISALAYA BELIEVED TO BE SMALL BAND MARAUDERS UNDER RAFAEL BLANCA OPERATING AROUND LAIMUS LIEUT LUKE M HENDERSON NOW IN THAT AREA INVESTIGATING 1200"
Letter from Gen. C. B. Matthews, Jefe Director GN Managua, to Ministro de Gobernación, Managua, p. 1. Letter from Gen. C. B. Matthews, Jefe Director GN Managua, to Ministro de Gobernación, Managua, p. 2. Letter from Gen. C. B. Matthews, Jefe Director GN Managua, to Ministro de Gobernación, Managua, p. 3. Letter from A. O. Danneberger, Yulu, Nicaragua, to Dr. S. H. Gapp, Moravian Church, Bethlehem PA. "Dear Brother Gapp:- ¶ Br. Shimer wrote to you in his letter of Jan. 18, that he would request me to write to you directly about the activities of the Schramms during their stay on the Wangks river. I wished I could be spared this very unpleasant task. May I say at the beginning that I expected Br. Schramm to make a frank confession to one of the members of your Board after not having confided in one of his co-workers in the field. The whole matte is too serious to be just passed by. When I first heard of it through one of the evangelists I absolutely refused to believe it. But when I saw the letters which Br. Schramm had written to the woman in question, a woman living at that time with a Spanish trader, I could only say that such letters must have been written in hours of insanity. As a matter of fact, with that assertion I tried to excuse Br Schramm’s doings before the evangelists who broached the matter to me. However, the letters were written over quite a long period of time and with obvious care, so that my excuse could not hold good. I knew that Br Schramm had been studying quaint methods of therapeutics and some strange teachings and so I tried to explain Br. Sch’s queer behavior with that. I have read the letters which the woman had handed over to the evangelist when she made an open confession of it, and I must say that the reading of it has been like a nightmare to me. Several nightly meetings with the woman in the vestry of the church are taken up in the letter, sexual matters are frankly discussed, and it appears as if the recipient of the letter needed to be persuaded to overcome her bashfulness towards him to let him fondle her. Sad to say, even the intimate dealings of the writer with his wife are laid open before the woman, and she is asked to leave some of the underwear which she is wearing at the time with the writer. I loathe to write more, but as you have asked for a full and frank report and Br. Shimer has requested me to give it, I am writing these few facts, although very reluctantly. ¶ I regret that Br. Sch. Has not made an open confession of it and one might have found some excuse for his dealings, considering that he has done so many years of faithful service in isolated places and in an enervating climate, amongst people who offer nothing towards uplifting and encouraging a man; on the contrary, their whole way of thinking, speaking and acting is a strong and continuous pull downwards. I know that Br. Sch. Has admitted his wrongdoings in a letter to Br. Grossmann, but only after the matter had come to light, and even then, the open confession of the Indian woman to one of the evangelists was commented on by replying: “I did not know that the woman would be so mean and give me away!” Fortunately the whole story has not been spread amongst our people along the coast, but on the upper Wangks river much has been talked about, as also the wife of one of our evangelist’s and one or two others related rather affectionate approaches during medical examinations. ¶ With the deepest regret and yet most emphatically do I insist on what the P.B. has decided, namely that Br. Schramm cannot be employed any further in the Nicaragua field, not even in the South. Our evangelists are watching or actions in this matter. One of them has said to others: “Now we will see whether they deal with a white missionary in the same way in which they dealt with a native (Mr. Lewis)”. The evangelists who are well acquainted with all the facts are those who are heavily indebted to the Schramms. As Br Shimer has written, articles have been practically forced on them, some at most atrocious prices. Those evangelists and one or two others who have been said aside on account of the financial difficulties will not remain silent when the report reaches them that Br. Sch. Is one more permitted to preach the Gospel amongst them. ¶ Br. Shimer has written in full about the financial affairs of both Br. And Sr. Schramm, and I am afraid that also this side of the sad story is reported quite correctly. ¶ I have written the above with no personal feelings against the brother whatsoever. The longer the more I feel my own shortcomings. I have written because it has been put upon me as a duty, and at the same time I realize, that this is not a matter of personal forgiveness and acceptance before God, but whether Br. Sch. Has not forfeited his right to publicly help towards the extending of Christ’s Kingdom. ¶ Very sincerely yours, [signed] ¶ A. O. Danneberger"
Military Intelligence. Col. L. L. Leech, Bluefields, to Department of Northern Bluefields Commander Capt. O. A. Inman, Puerto Cabezas. Report of Death of Three Bandit Agents and Spies, Wuani, Nicaragua, Col. L. L. Leech, Bluefields, to Jefe Director GN Managua. Monthly Record of Events for the Department of Southern Bluefields for the Month of February 1932, Capt. Ralph D. McAfee, Bluefields, p. 1. Monthly Record of Events for the Department of Southern Bluefields for the Month of February 1932, Capt. Ralph D. McAfee, Bluefields, p. 2. Monthly Record of Events for the Department of Southern Bluefields for the Month of February 1932, Capt. Ralph D. McAfee, Bluefields, p. 3. Patrol Report, 2nd Lt. E. J. Surprenant, Kisalaya, to Col. L. L. Leech, Bluefields, p. 1. Patrol Report, 2nd Lt. E. J. Surprenant, Kisalaya, to Col. L. L. Leech, Bluefields, p. 2. Patrol Report, 2nd Lt. E. J. Surprenant, Kisalaya, to Col. L. L. Leech, Bluefields, p. 3. Patrol Report, 2nd Lt. E. J. Surprenant, Kisalaya, to Col. L. L. Leech, Bluefields, p. 4. First Endorsement, Dept. of N. Bluefields Commander Capt. O. A. Inman, Puerto Cabezas. Patrol Report, 2nd Lt. E. J. Surprenant, Kisalaya, to Col. L. L. Leech, Bluefields, p. 5. Second Endorsement, Eastern Area Commander Col. L. L. Leech, Bluefields. Patrol Report, 2nd Lt. E. J. Surprenant, Kisalaya, to Col. L. L. Leech, Bluefields, p. 6. 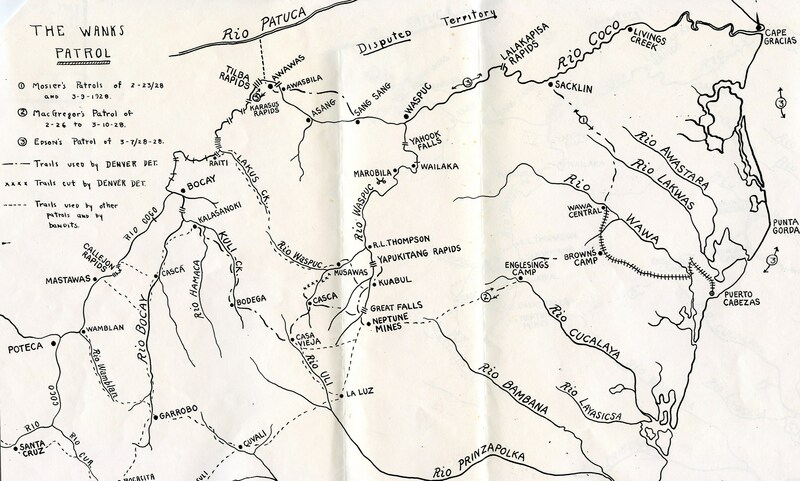 Sketch Map: "Guani Carlos Vasques ¶ Siuna y La Luz Enemesio Vallecillo ¶ This map was drawn by Stanton who is now in Puerto Cabezas. He escaped from Siuna during the raid. The names in the upper left [above] are those who will give the Guardia assistance. All houses have been burned except the Co. house at La Luz." Patrol Report, 2nd Lt. E. J. Surprenant, Kisalaya, to Col. L. L. Leech, Bluefields, p. 7. Letter of commendation frm Gen. C. B. Matthews, Jefe Director GN Managua, to 2nd Lt. E. J. Surprenant, 30 March 1932.
" [p. 1] . . . LOCATION OF THE ENEMY ELEMENTS. ¶ . . . [p. 5] (R) SIMEON GONZALEZ: Reported in contact with Civicos from Neptune Mine, near the mine, on 1 Feb and again in contact on 2 Feb with Lieutenant Gray (R) and guardia patrol from Neptune Mine, in vicinity thereof. ¶ (S) ABRAHAM RIVERA: Reported in contact with Civicos from Neptune Mine, near the mine on 1 Feb and again in contact on 2 Feb in vicinity of Neptune Mine with Lieutenant Gray (R) and Guardia patrol from that Station. ¶ (T) JULIO CASTRO: Reported in contact with civicos from Neptune Mine, near the Mine, on Feb 1, and again in contact, 2 Feb, with Lieutenant Gray and guardia patrol from that station in vicinity of the mine. ¶ . . . [NOTE: Of the 24 jefes surveyed in this section, the three above were identified as active in the Eastern Area] . . . [p. 6] UNITS IN CONTACT: ¶ 1 FEB 1932: Civicos of Neptune Mine (EA) had contact with a group of bandits in vicinity of Neptune Mine. Bandit casualties four killed. One civico wounded. Captured two shotguns. Group evidently under GONZALEZ, RIVERA and CASTRO. ¶ . . . 2 FEB 1932: Lieutenant Gray (R) and guardia patrol (EA) made contact with bandit group in vicinity of Neptune Mine at 3 PM. Bandit casualties: five killed; number of wounded unknown. No guardia casualties. Captured four arms and ammunition. Destroyed large quantity of loot. This group evidently under GONZALEZ, RIVERA and CASTRO. Patrol returned to Neptune Mine on 3 Feb due to lack of ammunition. [NOTE: Of 15 contacts in February, the above two were in the Eastern Area] ¶ . . . [p. 7] STRENGTH AND MOVEMENTS. [NOTE: Of 22 items in this category, none concern the Eastern Area] ¶ . . . [p. 10] ENEMY OPERATIONS. [NOTE: of 26 items in this category, none concern the Eastern Area] ¶ . . . [p. 13] SUMMARY OF COMBAT INTELLIGENCE TO INCLUDE 13 FEBRUARY, 1932. ¶ . . . [p. 14] EASTERN AREA: Eastern Area reports that Neptune Mine Detachment, under Captain McAfee, located bandit camp and seized two rifles, two pistols, ammunition, correspondence and about $7,000.00 worth of property, presumed to be loot bandits had taken in recent raid in Suina, Wani, Tunkey and Sulu Farm. No definite reports that would indicate bandit intentions on Atlantic Coast for the near future. If the presumption as to the loot recaptured is correct, it would appear that recent bandit operations in that sector have been fruitless for them. ¶ . . . SUMMARY OF COMBAT INTELLIGENCE TO INCLUDE 22 FEBRUARY 1932. ¶ . . . EASTERN AREA: The Department of Southern Bluefields has been quiet. Northern Bluefields had no active bandit operations but all indications point to their preparing to renew activity in the near future. The attack made by Lieut. Gray on Irias group February 4, and the recapture of the large quantity of loot, has disorganized their operation, but it is not believed that they have yet given up their plan to raid the Rio Grande District or concentrate on the railroad for the purpose of crippling it as much as possible and keep the Department in a state of alarm. In the correspondence captured in Lieut Gray’s contact there was a letter from Chavarria to Sandino, undated, and saying that he, Chavarria, expected to join Sandino in April or if possible in March. The Department of Northern Bluefields is expecting another invasion between the middle of March and the end of April. The Department of Chontales has been very quiet the past week. Heavy rains north of line Boaco-Libertad-Santo Domingo have made the trails in that region very difficult. ¶ . . . [p. 17] SUMMARY OF COMBAT INTELLIGENCE TO INCLUDE 29 FEBRUARY 1932. ¶ . . . [p. 18] EASTERN AREA: Lt. Surprenant and small Guardia Patrol had a contact with bandits up the Coco River above the mouth of the Waspook at a place called Cring Cring. Details lacking. No other reports from the Eastern Area to indicate any particular activity on the part of the bandits during the past week. ¶ . . ."
Minutes of Provincial Board Meeeting Held March 3rd, 1932, at Bilwi, Nicaragua, Present, Bretheren A. O. Danneberger and C. Conrad Shimer, p. 1. "MANNING OF FIELD ¶ The manning of the field for the immediate future was the main subject of discussion at this meeting. ¶ Bluefields. Here Brother Kenneth G. Hamilton will be stationed. He is expected to arrive sometime in June, if plans to go to St. Thomas should materialize, Brother Wolff to remain until that time. ¶ J. A. Palmer. Inasmuch as it has been decided to serve Bluefields with one man, with such assistance as the Warden can render, it was decided to call Brother Palmer to Karawala immediately after Easter. ¶ Wounta Haulover. Brother Fisher is retiring on February 29th, but has consented to remain in that station on his pension allowance until the return of Bishop Grossmann. ¶ Bilwi. 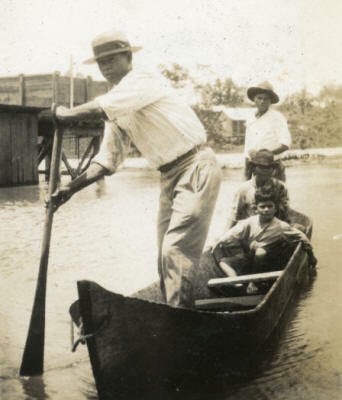 Brother Smith is leaving the Nicaraguan field about the end of March, there then being a boat direct for Jamaica. This will leave Bilwi without a pastor. It was decided to call Jack Coleman, formerly in the Yulu Evangelists’ School, to Bilwi temporarily. Jack speaks English, Spanish and Miskito and can conduct all the services here. The station will be visited once a month by Brother Fisher from Wounta Haulover and once a month by Brother Danneberger. On such Sundays Jack will service one of the outstations connected with Bilwi. He will live on the second floor of the Mission House and will do his cooking in the room underneath the house. ¶ Dakura. This station is being well-manned by Rinkard Watson, a native evangelist. ¶ Sandy Bay. Here services are being kept regularly by J.E.Hurslton, a Cayman storekeeper, who has been a resident of this place for many years and very friendly to the Mission and its work. Sacraments will be administered regularly by the Yulu and Cape missionaries. ¶ It was decided to call Brother Rufus Bishop to his old station at Sandy Bay and to recommend that he return to his station as soon as possible as the Seventh Day Adventists are reported busy in that section. ¶ Cabo Gracias. Brother Stortz will remain here. ¶ Kruta. P.B. decided to call Miss Kreitlow to her old station at Kruta, which will remain under the general supervision of the Cape missionary. This call is in accord with Miss Kreitlow’s own desire to return to her old location." Minutes of Provincial Board Meeeting Held March 3rd, 1932, at Bilwi, Nicaragua, Present, Bretheren A. O. Danneberger and C. Conrad Shimer, p. 2. ". . . Wasla. It was decided to call Leopold Omier to Wasla, his salary to remain the same as allowed in the budget. In the interim, between Board meetings, it was decided to have Miguel, a Spaniard, as teacher at Wasla, he to receive the salary allowed in the budget for Ignatius Maibit, formerly at Wirrapani, but now set aside temporarily it being no longer possible to carry on work at his old station because of bandit activities and no other place being open for him. ¶ This Miguel is to remain at Wasla or in that district as a school master. Dannery Downs will remain for the present at Bilwas Karma. Wasla will be served with the sacraments from Yulu and the Cape. ¶ WORK ON THE UPPER WANGKS ¶ Work in this district cannot be undertaken for the present as this is still in the danger zone. ¶ REMOVAL OF MISS KREITLOW’S HOUSE ¶ It was decided to postpone the removal of Miss Kreitlow’s house at Kruta, (due to the inroads of the sea), until her arrival at her station. ¶ FURLOS ¶ The furlos both of Brother Shimer and Brother Danneberger are due after Easter, 1933. As far as can be seen now, Brother Danneberger is the only man on the field who can do the work of the Treasurer. It will thus be impossible for both brethren to go on furlo at the same time. As Brother Danneberger has children in the States, two of whom will graduate from school in June, 1933, Brother Shimer has consented to remain until sometime in 1934 and allow Brother Danneberger to take his furlo as scheduled. ¶ Brother Danneberger did not return to the field from his last furlo until September, 1928, and his furlo would therefore be due after a period shorter than five years by four or five months. This prolongation of his last furlo was used in deputation work in Canada and P.B. would recommend that the furlo be granted as scheduled. ¶ G. A. SMITH ¶ In the current budget Brother Smith’s salary was allowed until December 1st, 1931, but because there has been no opportunity for him to get to Jamaica it was necessary to keep him on until the present time. As there is an opportunity to go direct to Jamaica by way of Grand Cayman the latter part of March, it was decided to tell Brother Smith that his salary would stop the end of March. This brother is now contemplating removing to British Guiana. Should he decide on this P.B. agrees to give him the $200 allowed in the budget for the passage of his wife and children to Jamaica. ¶ Adjourned, ¶ [signed] C. C. Shimer, Chairman ¶ A. O. Danneberger"
Record of Events, Eastern Area, February 1932, Col. L. L. Leech, Bluefields, p. 1. Record of Events, Eastern Area, February 1932, Col. L. L. Leech, Bluefields, p. 2. Record of Events, Eastern Area, February 1932, Col. L. L. Leech, Bluefields, p. 3. Report of Inspection, 9th Company, GN, Dept. of N. Bluefields, Jan-Feb 1932, by Capt. O. A. Inman, from Col. L. L. Leech, Bluefields, to Jefe Director GN Managua. Patrol Report, District of Wuani Commander Capt. L. Curcey, Wuani, to Col. L. L. Leech, Bluefields, p. 1. Patrol Report, District of Wuani Commander Capt. L. Curcey, Wuani, to Col. L. L. Leech, Bluefields, p. 2.